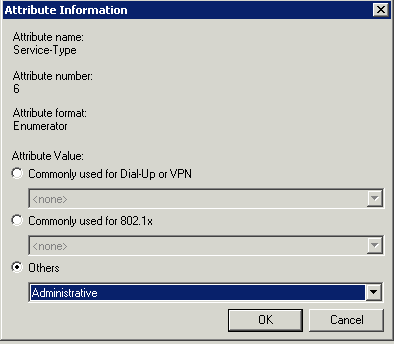 Now let’s get into the details…..
# Create a local admin account as a backup, if you don’t already have one. Level 15 = Admin. # Scratch that. Nothing works if I have a second server listed. Need to investigate, as we need redundancy. # Enable SSH server, don’t forget you have to enable the keys and such. That’s it. Nothing else to do on the Dell CLI for me. 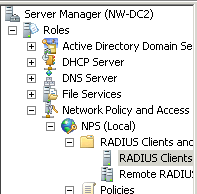 Login to the NPS server, and open NETWORK POLICY MANAGER from the Administrator Tools menu. Expand all the options. FRIENDLY NAME = whatever you like. Probably the hostname. 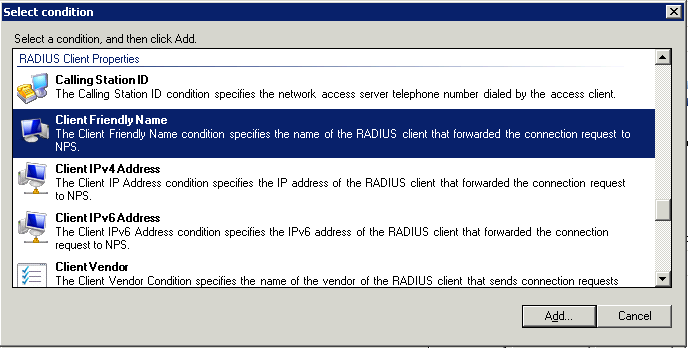 ADDRESS is the IP Address or DNS name of the device – your choice. Select MANUAL for the Shared Secret and type in your <SHARED_SECRET>. This is the same shared secret you entered on the PowerConnect 6248 CLI at the beginning. Click OK to finish the config. 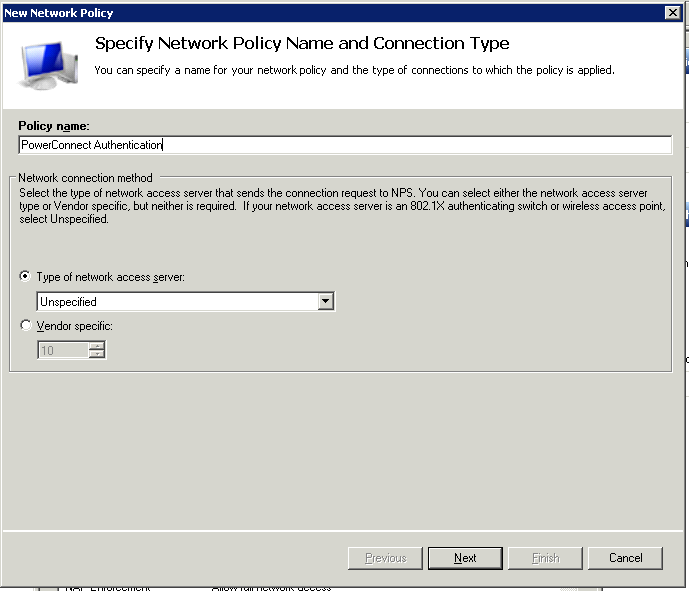 3) Create a new NPS Network Policy. 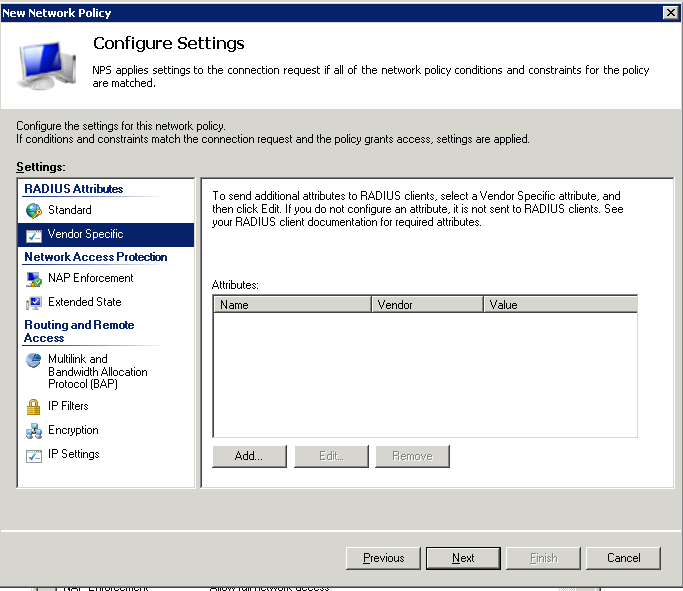 Give your policy a useful name. 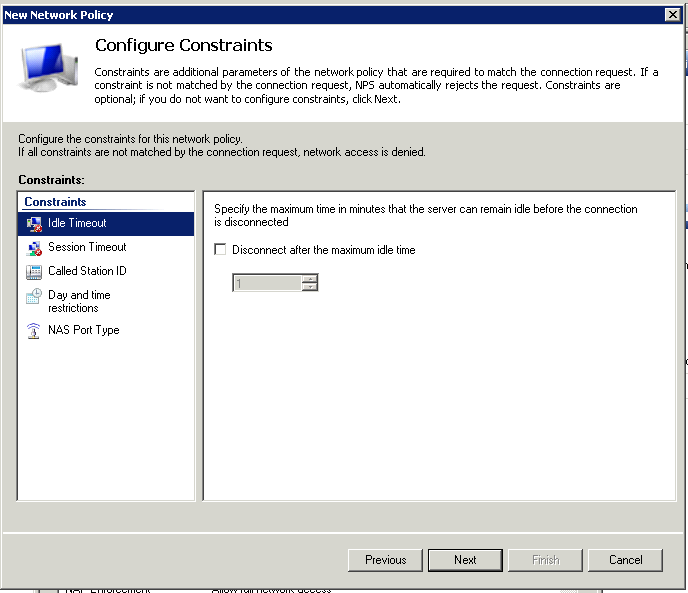 You probably only need the one policy for all Dell PowerConnect devices. 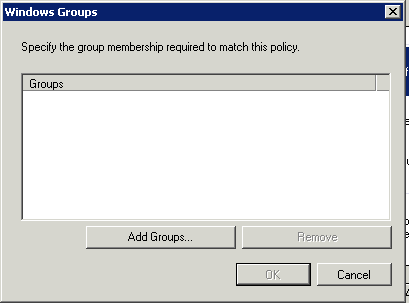 However, if you have a large mix, they might need separate policies per device type or class. Our condition is going to be WINDOWS GROUP. Click ADD. Enter the name of your group and click check names, then ADD. Your group might be Domain Admins. It might be a separate group. 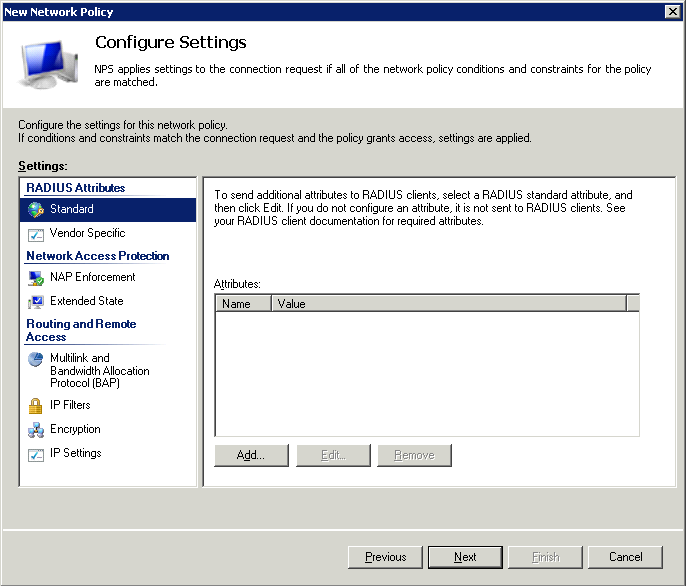 I’ve chosen “RADIUS – PowerConnect” so I can have different levels of RADIUS authentication based on switches, core switching if I had them, firewalls, etc. Let’s add another condition. Click ADD. 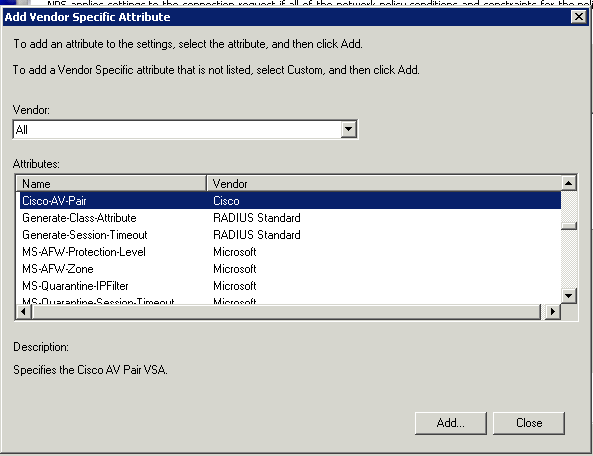 Select the condition “CLIENT FRIENDLY NAME” and click ADD. We do want access. Click NEXT. The only one that matters, is to ensure that PAP is checked. Click NEXT. Yup, that’s very bad, we get it. Click NO. No constraints, we’re good. Click NEXT. 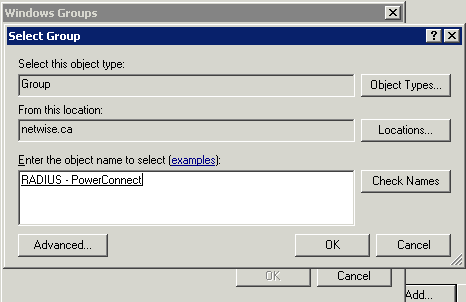 Select each of the FRAMED-PROTOCOL and SERVICE-TYPE and click REMOVE. 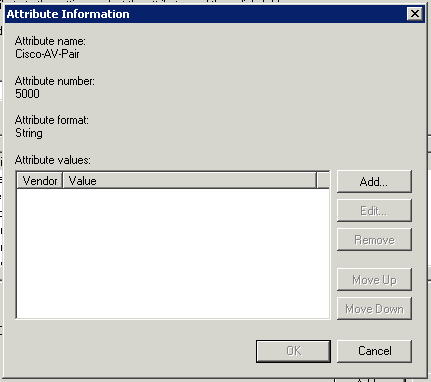 Choose NAME=CISCO-AV-PAIR and VENDOR=CISCO. 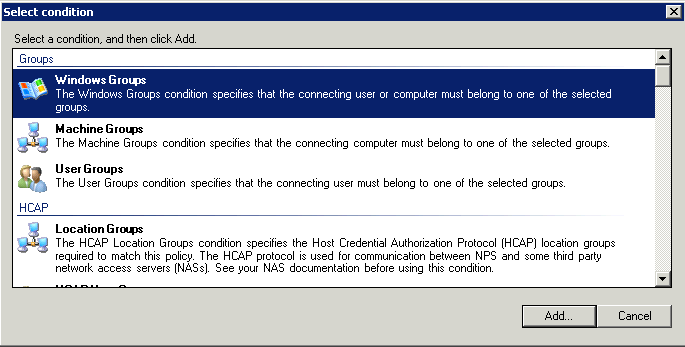 Apparently Dell chose to use the Cisco options when creating their OS. Click ADD. The ATTRIBUTE INFORMATION window will pop up. Click ADD. 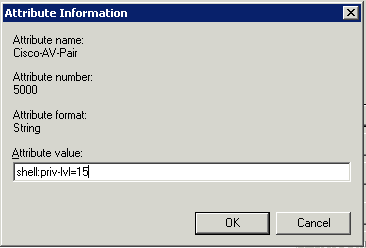 Enter the string “shell:priv-lvl=15” to give Administrator level permissions. Click OK.
Click OK, Click OK, Click CLOSE. 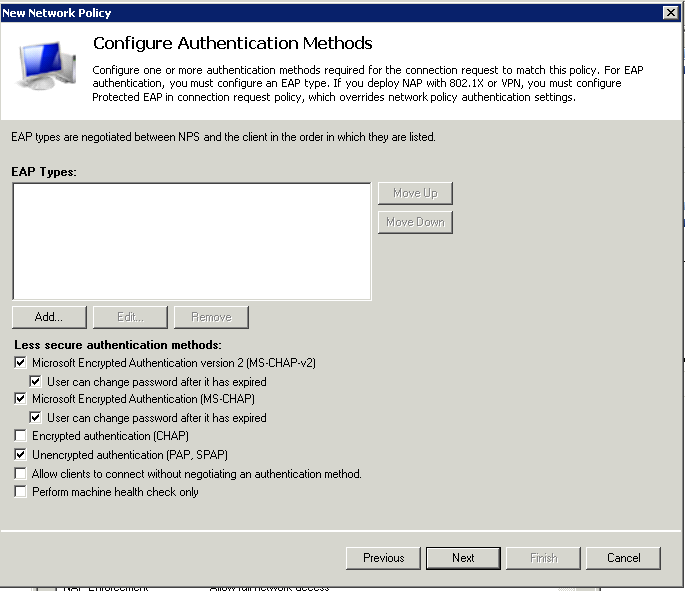 At this point, you should be able to login to the PowerConnect 6248 using your domain credentials. 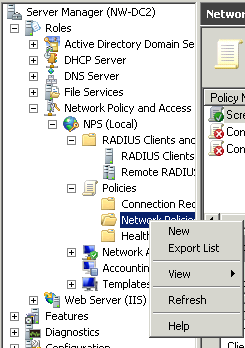 Yes – apparently Dell PowerConnect run the same/similar base OS (Broadcom FASTPATH) and most of this guide work for (managed) Netgears too. You can also use Administrative-User which is vendor neutral and seems to work with both Netgear as well as FASTPATH-based PowerConnect switches. 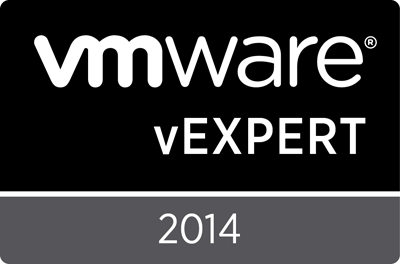 – YMMV depending on exact switch model and Firmware version. Thanks for the extra detail, that’s very good to know! Where would one use this information? 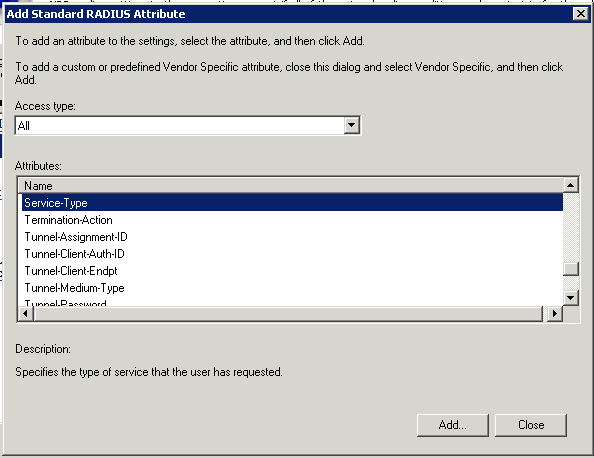 In the RADIUS Vendor Specific options?